Why Are Dyson Vacuums So Good At Sucking? Dyson vacuum cleaners are remarkable inventions that are known for having an exceptional design that easily surpasses their competitors. What’s even more astounding is that one man, James Dyson, was able to bring this re-invention of the domestic vacuum to the world through shear determination. James Dyson credits much of his passion and drive to running cross-country in school. Having a goal to strive toward and not quitting until he won gave him a tenacious spirit in everything that he tried. An artist by trade, Dyson was always trying to make the ordinary extraordinary by playing with designs. Creating a great invention does not happen overnight and James Dyson had his share of failures in trying to market his new invention of the cyclonic vacuum sweeper. The image below contains the current range of upright cleaners from Dyson. The most popular and best in 2015 being the DC65. 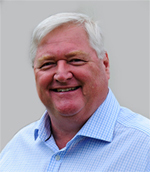 Jame’s wife worked as a schoolteacher while he pursued his dream of manufacturing the best vacuum cleaner on the market. When the UK closed the door on his product, he took to catalog sales in Japan and started making money to expand. 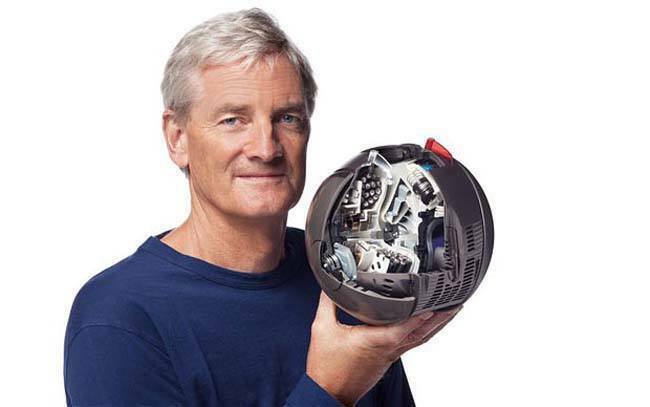 Thirty years later, James Dyson along with his wife and three children are reaping the rewards for all of their hard work in creating the greatest vacuum cleaner brand in the world. What are Dyson Vacuum Cleaners? Dyson vacuums are not like your typical cleaners that have exposed heavy motors with lots of components that sooner or later, break or wear out. A well-hidden motor inside the ball at the foot of the machine drives centrifugal forces using a technology called the Root Cyclone. The cone shaped cyclone picks up dirt and dust with high suction and spins this debris into small particles at 900 mph. After the dust particles have been blended well, they are sent through HEPA filtered cylinders where all dirt particles are captured and contained within one removable dust container. No dust or dirt ever filters out into the air and no large pieces are given the opportunity to clog the machine. Dyson’s vacuum cleaners are totally bag-less so purchasing bags every month is eliminated. What Inspired James To Think Of This Concept? James Dyson was an innovative man. His frustration lay with his own vacuum cleaner that was supposed to be top of the line and was always clogging and spewing dust back into the air. Because of this, he was determined to find a better way to build a vacuum that could adequately do the job. Remembering a nearby sawmill that used a cyclone, thirty foot high that spun out dust in the air by centrifugal force, his idea for a high powered suction machine was born. Coming up with a great idea is just the beginning when you are determined to be the best. Between 1979 and 1984, Dyson developed and changed designs 5,127 times before finally settling on his first model, the G-Force that was built in 1983. Three more years in coming up with the perfect production version, it was finally ready to be marketed. Although Europeans did not seem impressed with a new type of sweeper, the Japanese applauded Dyson and awarded him with the International Design Fair prize in 1991. Armed with capital from Japanese sales and thirty-five of the best engineers that he could find, Dyson started a manufacturing facility that is today, second to none. His astounding group of engineers and scientists never stop looking for a better way to improve their vacuum cleaners. Digital motors that are more power-efficient and lightweight compared to traditional motors have been on the drawing board for over a decade. What catches the attention of most purchasers is the idea of putting the motor inside of the ball that maneuvers the cleaner in the place of wheels. Besides being a convenient home for an otherwise bulky and heavy motor, these balls are made from glass-reinforced polypropylene that can withstand impacts and abuse while providing a solid protective exterior for a critical part of the machine, the motor. This type of ball technology also provides a low center of gravity at a neutral location where you never feel the weight of a motor when maneuvering. Steering around obstacles is a breeze because you’re never fighting with breakable plastic wheels to fit into spaces and turn when you need them to. 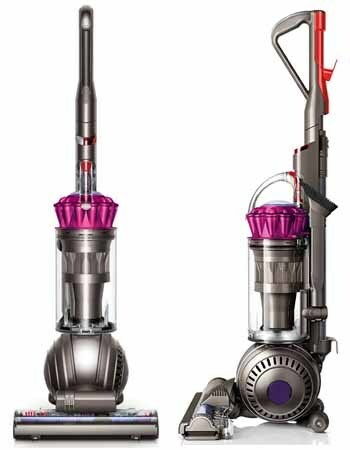 There are many different Dyson vacuum models to choose from with great technology in all. Each year new models are released which are better than their predecessors. The Dyson DC25 was one of the first uprights that had the popular ball technology with the Airmuscle feature that is a pneumatic actuator, keeping the cleaning head flush with the floor at all times. It also had a high torque clutch and powered cam giving unbelievable power to the brush abilities. 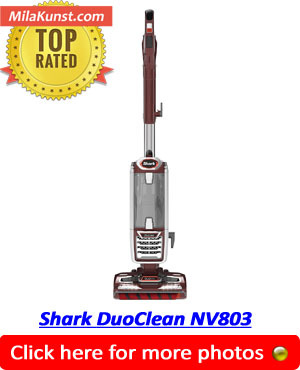 One of the best vacuums on the market in 2015 is the DC65 Animal Complete. It really has taken suction power to a new level with it’s patented Radial Root Cyclone Technology and a reconfigured brush bar to move from carpet to hard floors seamlessly. Handheld models for quick and easy pickups have also come along way since models such as the DC30 and DC31. New models such as the DC59 Motorhead and Animal are available which allow you to clean for 24 minutes per battery charge and can move easily over hard floor surfaces and also rugs & carpets. All of these lightweight, cordless vacuums, are great for spills and dirt with suction power that will beat most other brand’s upright cleaners. James Dyson’s vacuum cleaners are now the most popular and largest selling vacuum all over the world including the USA & UK. Their bright colors in yellow, turquoise and red make cleaning a delight and the ease of use makes an otherwise dreary job much less of a chore. Each year the company comes up with innovative ways to improve on their original upright model that they started with thirty years ago. That is why they are such a world leading business. When you need added cleaning power and versatility with your existing vacuum cleaner, the engineering department has you covered. Whatever your lifestyle choices, constantly evolving tools and accessories for your machine with making your cleaning much easier. The Allergy Cleaning Kit contains five pieces and is designed to add additional tools to your existing machine that will get into those corners, lint traps and remove cobwebs while using the allergen HEPA filter on your machine. The allergy kit is compatible with all Dyson models and comprises of a Mattress tool, a soft dusting brush, a flexi crevice tool, an adapter and a small brush for the flexi crevice tool. Mattresses can become infested with dust mites that most hand held vacuums do little to remove adequately. With the lightweight and wide headed mattress nozzle provided in the Allergy Cleaning Kit, you know that your mattress is free from dust, dirt and germs. This tool is easy to maneuver and also works just as effectively on upholstery too. Consumers like the fact that the mattress tool is quick and easy to use and the lint strips are great for picking up pet hair. Some consumers dislike the fact that this tool is just a wider version of the upholstery tool that comes with all Dyson vacuum cleaners and isn’t worth the price. Bookcases lined with manuals and encyclopedias are just about impossible to clean without removing everything and cleaning one book at a time. A special soft dusting brush is provided to whisk away dust that can collect on your shelves and other delicate places such as lamps. This tool is also great for dusting blinds, fans, around televisions and computer keyboards. The flexi crevice tool flexes and extends to clean spaces and awkward gaps. It is designed for those hard to reach areas such as underneath and behind furniture. Consumers find it useful for cleaning the car and edges of ceilings and baseboards. Consumers don’t like the fact that the crevice tool isn’t very flexible and clogs up really easily. Pet owners are amazed with the Pet Clean-Up Kit that has everything you need to work on that dander. The pet clean up kit has some of the same tools as the Allergy Cleaning Kit, namely the flexible crevice tool and the mattress tool. The main addition to this kit is the Zorb carpet cleaner powder and the Zorb Groomer. If you get one of the Animal models such as the DC65 Animal Complete, most of the this useful kit is included. The Dyzolv spot cleaner is ideal for spills such as drink, food, grease and dirt. The pet clean-up tools concentrate on those areas where hair likes to hide. Use these accessories to get into cracks where your cat likes to rest or down in the corners of cushions on their favorite chair. When you try the Zorb Carpet cleaner maintenance powder, you will instantly know that the designer is a pet lover himself. Other great tools for pet hair include the Tangle-free Turbine tool and mess-free dog grooming comb. These are a must for pet owners. The Car Cleaning Kit lets you take your favorite vacuum to your mobile home and get the same cleanliness that you are accustomed to in your home. 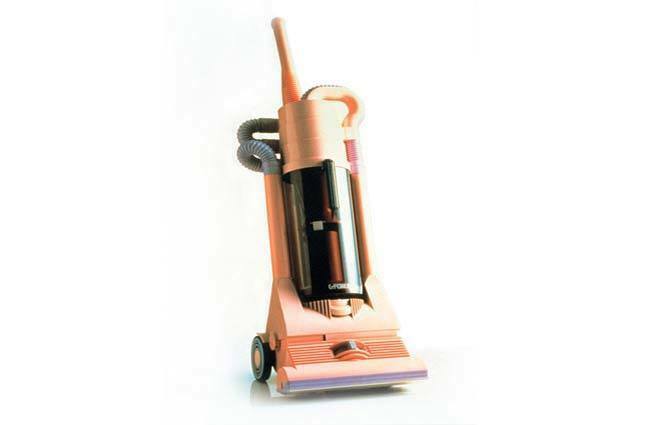 Universal adapters allow you to use any model of vacuum cleaner that you may have and the compact turbine head for cars will make your carpet stand up like new. Small wands let you get in between seats that only a car valet is able to reach. These pieces can also be used in the home on furniture and hard to reach carpeted areas too. If you are lucky enough to have a cordless DC59 digital slim, you can clean your car quickly and easily without this kit. Other parts and accessories are available that will keep your Dyson model in great working condition. I would recommend having a spare lifetime HEPA filter, belt or hose just in case yours gets ruined by accident. What Do Dyson HEPA Filters Do? Dyson HEPA (High Efficiency Particle Air) filters capture mini particles in the air such as pollen, food particles, bacteria, mold spores, household allergens, dust mite feces, and trap them. They help clean the air by removing these allergens which build up in your upholstery, rugs and carpet. While many other types of filters will allow smaller sized particles of dust and other debris to escape, a HEPA filter will trap particles of all sizes. This includes microscopic particles down to 0.5 microns that other filters have no chance of trapping. The best thing about a Dyson HEPA filter is it cleans the air along with the floor! Why Are HEPA Filters Better? HEPA stands for high efficiency particle air. The main difference between this type of filter and others on the market is the design. Many other vacuum filters have small holes where particles of dust and other debris in the air are stopped from passing through as long as they are larger than those small holes. The problem is lots of particles in our homes still pass through these filters because they are much smaller than the holes in the filter. A HEPA filter contains a multitude of small fibers which are criss-crossed amongst one another in different directions. Rather than just creating holes, these fibers capture the smallest of particles because they get stuck in the fibers. It’s kind of like a spider creating an intricate web to capture and devour it’s pray. Particles big and small will have difficulty making it through the web of fibers and will get stuck. Why Are Dyson Vacuum Cleaners Best For Allergy Sufferers? Dyson is now equipping all their vacuum cleaners with these intricate HEPA filters for very good reason: they eliminate a lot of the dust and other particulate matter that would otherwise be thrown back out into the air. Together with the Root Cyclone technology that is more than 99.9% efficient at separating dirt and dust, these filters trap tiny particles that would be missed by other types of filters, eliminating more allergens and debris from the air you breathe. Dyson vacuum cleaners have the seal of approval from the British Allergy Foundation for their allergy and asthma research. They are also approved by Allergie Suisse which only approves machines that can remove 80% dust particles and other allergens from the air. Who Is Mila Kunst Jr? I'm sure you're wondering who is bringing you all this great information about vacuum cleaners. I'm Mila Kunst Jr and I've been selling vacuum cleaners around the Foxboro area of Massachusetts for around 30 years. I also write reviews for ShowHomeStyle.com.